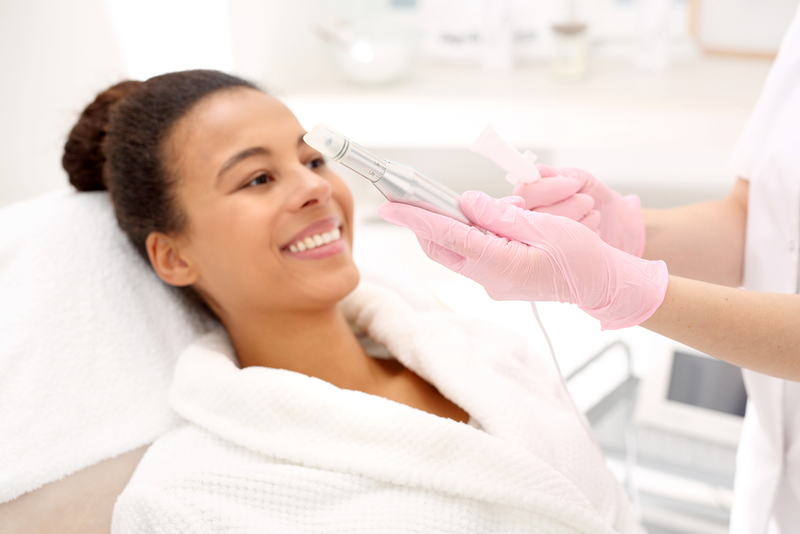 Microneedling just got better thanks to the addition of Platelet-Rich-Plasma. If you thought that the convenient and affordable treatment was alright a godsend for turning back the clock, treating skin issues, and overall making your skin more radiant, then you might be happy to know that the treatment just got more high-tech: with the addition of Platelet-Rich-Plasma (PRP). You might know PRP as that miracle substance that our body uses to clot blood. More than that, though, PRP contains growth factors that the body uses for its healing process. It's exactly what the name implies: it's blood with more platelets than usual. And it has a ton of uses, the latest of which is being used in conjunction with skin rejuvenation treatments. Why? It's a function of what skin rejuvenation actually does. Essentially, skin rejuvenation does "precise damage" to the skin--hacking the healing process. For the face, that means that it promotes the synthesis of collagen and elastin. These two miracle substances are what give your face volume and glow. The addition of platelet rich plasma essentially takes this healing process up to a factor of eleven, providing the face with the growth factors it needs to heal as quickly and as effectively as possible. Microneedling doesn't just facilitate skin rejuvenation. It actually creates channels of access for the PRP to be absorbed by the body. So the effect of the treatment is synergistic. How much blood is necessary? For the face, one syringe should suffice. Results are fairly fast, with noticeable results coming in around 4-8 weeks. Microneedling can help with acne scars, surgical scars, stretch marks, wrinkles, fine lines, hyperpigmentation, lax skin, uneven skin texture and more. Microneedling is one of many skin rejuvenation treatments, and skin rejuvenation is just one usage of PRP. Want to know more about PRP with Microneedling? Call Clarksburg Dermatology & Skincare today for more information. Clarksburg Dermatology & Skincare is a small, patient-centered dermatology practice in Clarksburg, Maryland, specializing in both medical and cosmetic skin care services. We provide care with a holistic approach, meaning we treat the person and not just the disease or condition. Our patients include children, teens, adults, and seniors from any of the nearby communities in Olney, Germantown, Frederick, Boyds, Damascus, Ijamsville and Urbana.